Nothing, but nothing happens on this scale without the say-so of Pakistan’s Intelligence agency the ISI. So why on earth are they, or those in their sway, whipping up a storm of hatred around this poor woman? It is easy enough to whip up a frenzy of this kind in Pakistan for a few dollars. 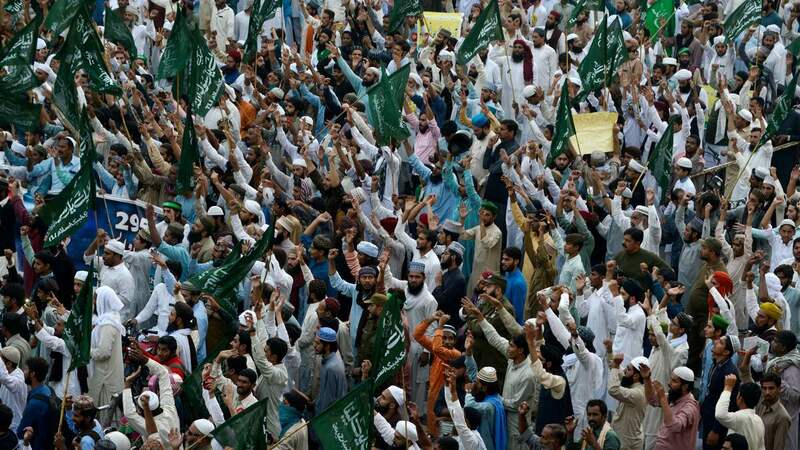 Having just finished writing a book on the life of The Prophet Muhammad I can say with a degree of confidence he would despair at the images coming out of Pakistan at the moment. It is a great country but it is run by knaves and fools and I was hoping the new leader Imran Khan might make a difference but it is obvious there are dark forces at play who want to undermine his administration. These demonstrations – and it’s always men, isn’t it? – have nothing to do with Islam or religion. If Muhammad was alive today he would be condemning this primitive behaviour but instead of targeting Islam let’s look more closely at those who are whipping up this sort of hatred.